Whether your unwanted car is damaged from an accident or it is deteriorating from rust, proper disposal of your junk car is essential. If you decide to list your car on online classified website, you would get dozens of emails, phone calls and texts late at night. Eventually, you will reach a point where you just want the car gone immediately. If you don’t want to deal with all these hassles, simply follow the below given process to dispose of your car easily. 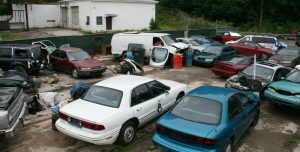 The first step involved in disposing of your junk car is to find a reputable car wrecking service. Performing a quick online search will help you find the most reliable car wreckers in your area. Reading online reviews and testimonials help identifying the companies that are more likely to provide reliable services. The next step involved in selling your scrap car is to get quotes from the car wreckers. While some companies provide quotes only after inspecting your car in person, others provide quote over the phone or through email. To ensure this, you should submit a form on their website by filling in some basic information about your car. After receiving quotes from two or three local car wrecking companies, you can easily finalise the preferred service. Settle upon the one that promises to pay the highest amount of cash and provide free car removal service. Of course, before making any decision, try to know about their payment method and vehicle collection process. Before your car has been removed, complete all the necessary paperwork. Also make sure that the ownership is properly transferred and you don’t have any further responsibility of the car. If you live in Perth and are looking for cash for scrap cars service, you can count on Car Wrecker Perth. With decades of experience in the junk car removal industry, we have been serving vehicle owners in and around Perth. Our team is composed of professional car wreckers who can provide the best cash offer for your vehicle based on the current market value. So, if you would like to make a great deal of cash through your vehicle, call 0497 843 353 or fill in our contact form now.